Hello! Today I have an exciting post. 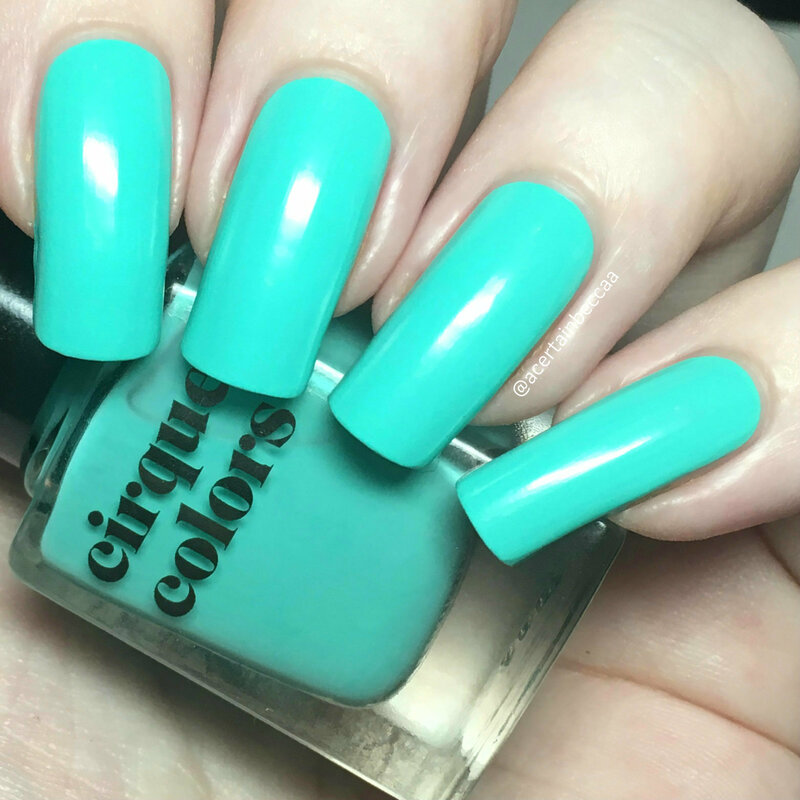 Cirque Colors are releasing another Vice Collection for 2017 a week today (21st June), and Annette from Rainbow Connection was kind enough to send me three of them to swatch. I fell in love with 'Electric Daisy' from last years collection (swatched here), so I couldn't wait to get stuck in. 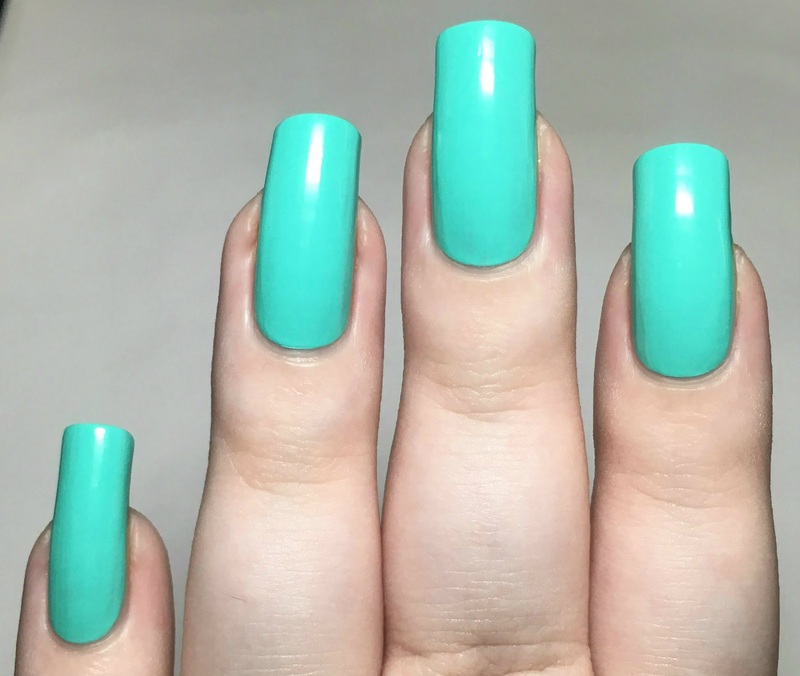 Read on for full swatches and a nail art look using all three! 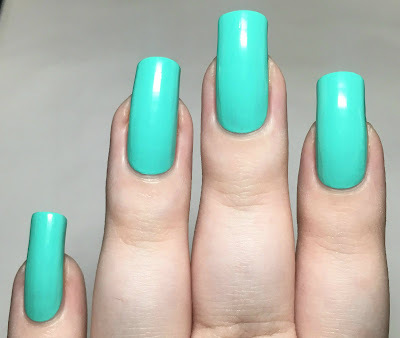 'Fame' is a neon turquoise creme. The formula is so smooth and easy to apply, and very opaque. This was close to being a one coater (safe to say I was shocked!). I did have a few minor light streaks so added a second coat to even them out. This dries quickly and glossy. Below is two coats without topcoat. This is slightly more green-toned than it photographs. 'Kushy' is a neon lime green creme. The formula is smooth and easy to apply. This is just slightly sheer and streaky on the first coat, but builds up perfectly with a second. It dries to a slightly matte finish, so I did add a topcoat. This literally could not be any brighter. Below is two coats with topcoat. 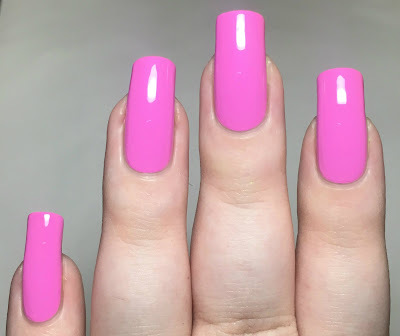 'Socialite' is a neon lilac-toned pink creme. Again, the formula is super smooth and easy to apply, and has good opacity. Similar to 'Fame', it has a couple of lighter streaks on the first coat which are easily covered with a second. Below is two coats without topcoat. Now for my nail art. I couldn't resist doing a gradient with these polishes. Having such smooth formulas I hoped that they would blend together easily, and they really did. 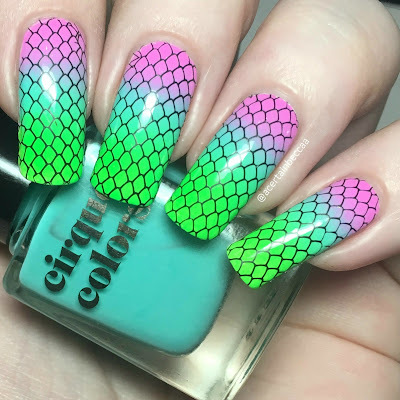 To top my gradient, I stamped the scale pattern from Uberchic Beauty plate Fairytale 01 and Hit The Bottle 'As Black As Night' (both also available from Rainbow Connection). What do you think? Are you as in love with these as I am?! 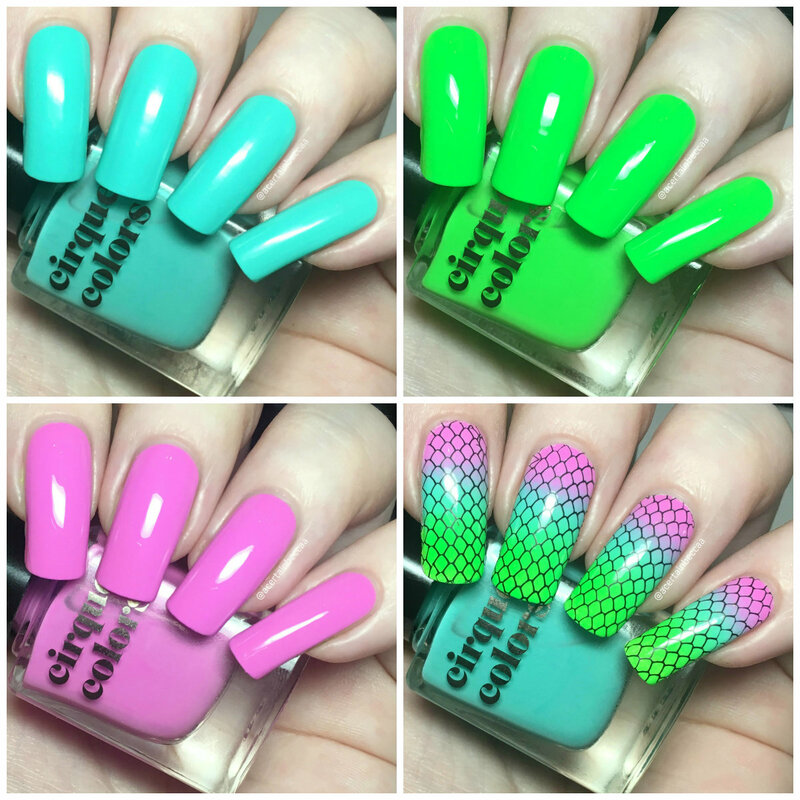 All three have incredible formulas, and are so eye-catching and bright. 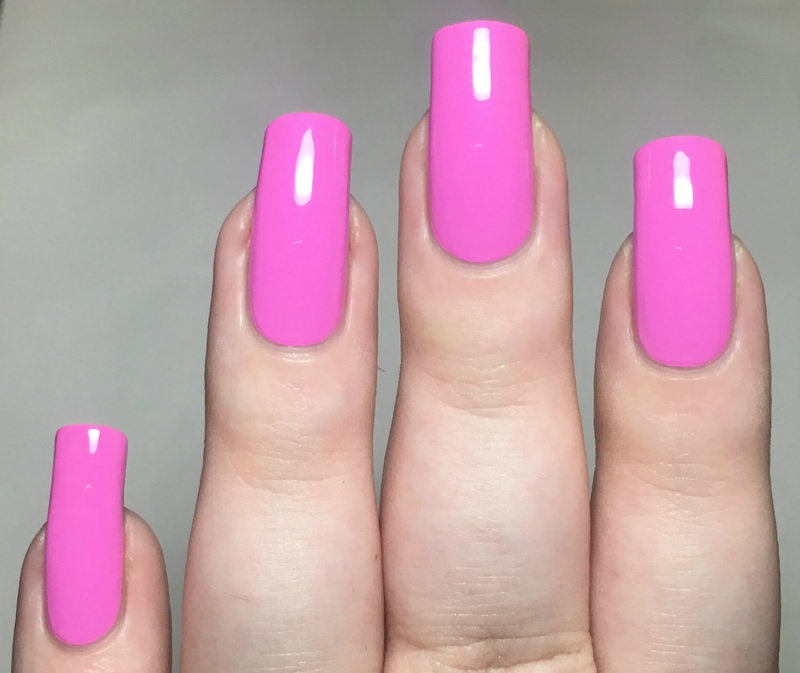 I can't wait for release day as I'm definitely going to be picking up the other three - 'Extra' (a neon orange), 'Game Over' (a neon red), and 'One Night Stand' (a neon indigo). The full Cirque Colors Vice 2017 Collection launches on the 21st June. You will be able to find them over on Rainbow Connection here, but be quick as I have a feeling they will be very popular! This so far I think is one of my favourites you've done! Bloody amazing!! 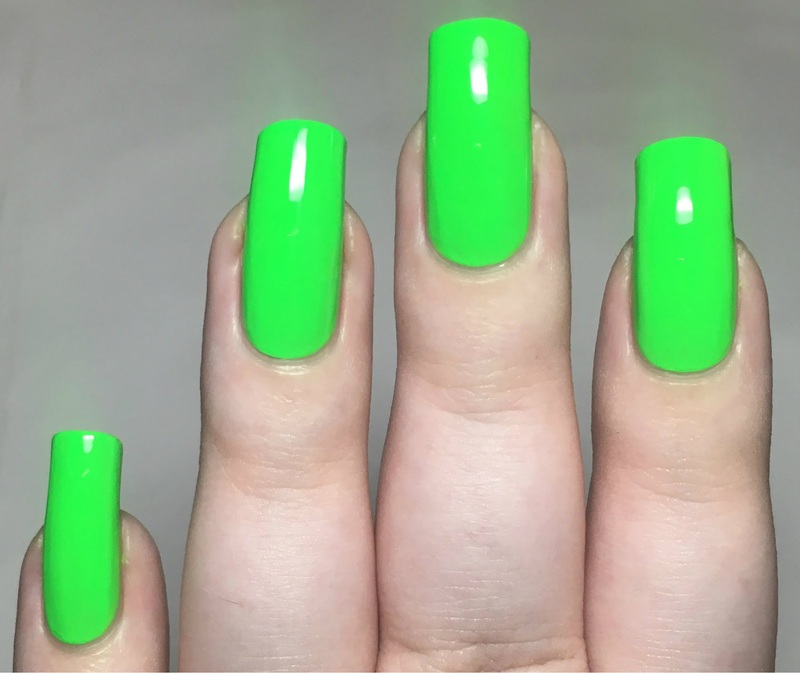 Fame is such a fantastic color! I love how you utilized them all. Oooh, I am loving the colors & your nail art is stunning! 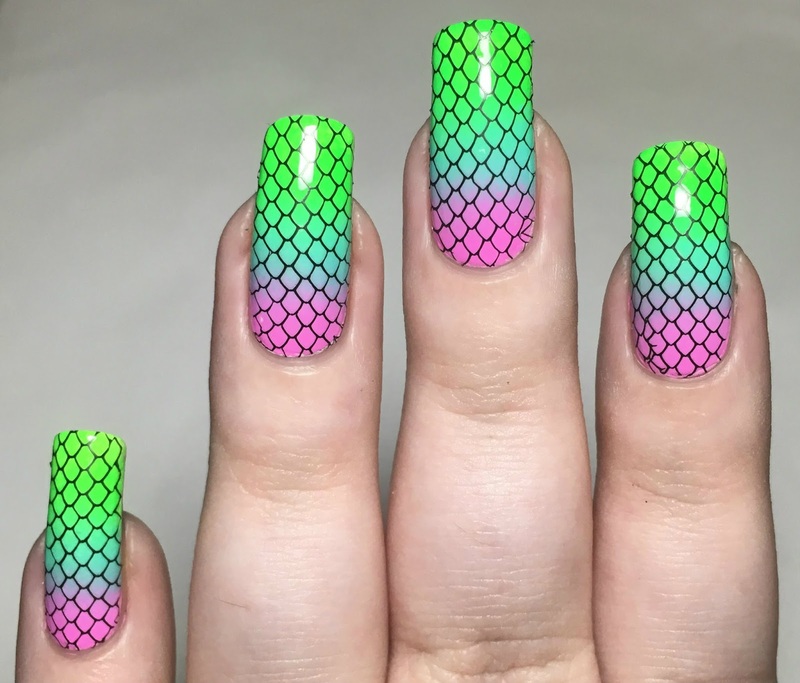 Oh these are so gorgeous, I love neons! Fame took my breath away! I love the gradient! 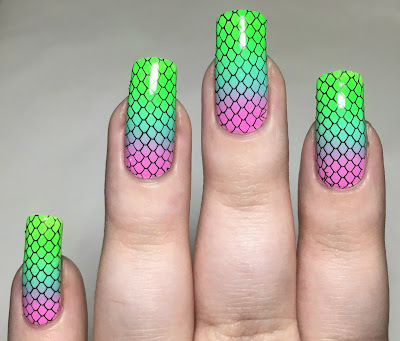 I like the neon lime green one, but the mani that you done - the gradients - and the stamping looks great!